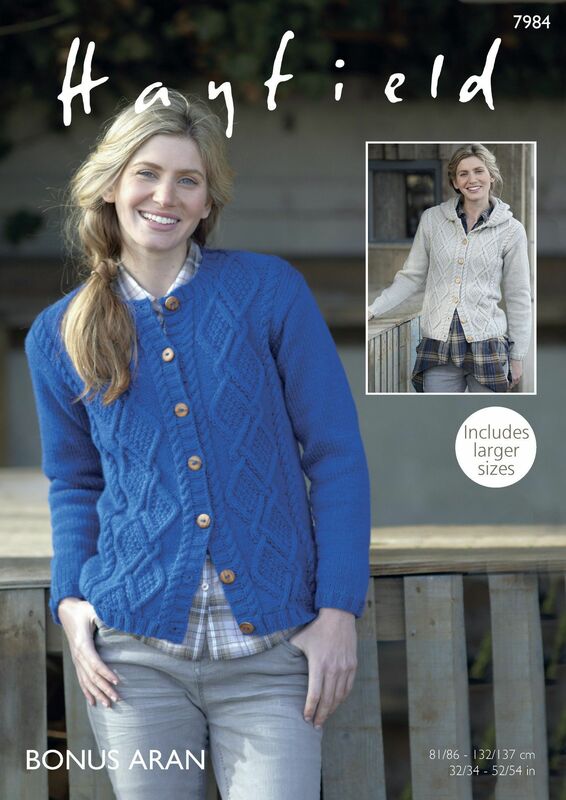 Round Neck Cardigan and Hooded Cardigan knitted in Bonus Aran. 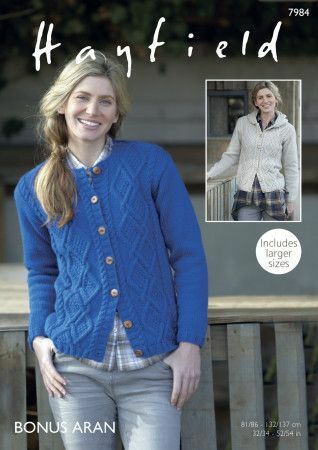 Also suitable for Hayfield Bonus Aran Tweed. Cable Needle and Stitch Holder required.